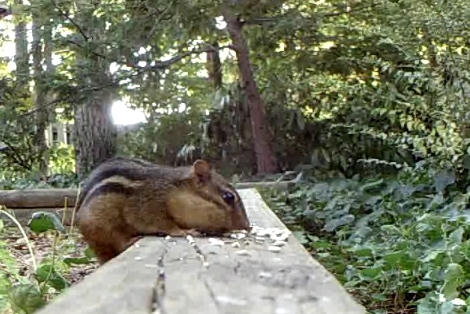 [Leor] wanted to take some video of the wildlife in his yard, like this chipmunk or some hummingbirds, but every time he tried to get close it scared them away. 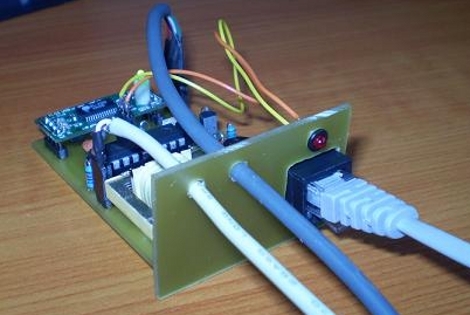 His solution was to rig up a cheap video recorder to be radio controlled (PDF). The donor camera was a cheap SD card based eBay purchase that takes 720×480 video. [Leor] removed the SMD switches from the recorder’s PCB and wired up a 4066 quad bi-lateral switch IC in its place. An RC toy car donated the receiver transmitter pair. The receiver signals are monitored by an AVR microcontroller which translates the commands in a proper set of button presses for the video. What you get is a controller that and turn the camera on and set to the proper mode, and the ability to start and stop the recording. We’ve got some pics of the hardware after the break, and [Leor] posted a bit of the chipmunk video for your enjoyment. [James Bond] types and those suffering from a hefty dose of paranoia can now record all telephone conversations. [Trax] built this module that monitors the phone line and starts recording when a handset is picked up. 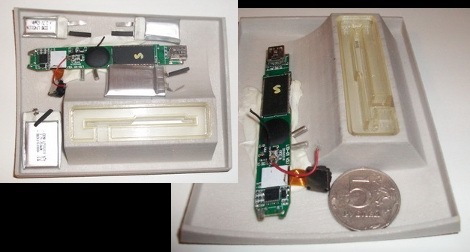 A computer does the actual recording, triggered by the microcontroller via a USB connection. We like the use of an old PCB for a faceplate, we’ve certainly got some duds of our own sitting around. The three cords are a bit confusing though. One for the phone line, one for the USB, but what does the third do? Is it an audio-out connection? We’ve asked [Trax] to post a schematic and source code if possible so that might clear up the mystery. Update: [Trax] let us know that there is a red button with white lettering at the bottom labeled “download”. This contains schematic, code, pcb layout, and PC software. We just missed it the first time around.